The holidays will be before you know it so to make things a little easier on you and your wallet we decided to give you an opportunity to WIN your gifts this year! Several awesome blogs have to come together to bring you some amazing prizes that will look great sitting under your tree Christmas morning. After you enter our giveaway make sure you hop around to the rest of the participating blogs for more chances to win! Along with all of the individual prizes we also have TONS of awesome Grand Prizes for everyone on your list including Baby, Kids (boys and girls), Teens, and Adults. The Grand Prizes include a Babyhome Emotion Stroller, Little Tikes Classic Castle, Pillow Pets Dream Lites, Pillow Racers, Furby, $50 The Children's Place Gift Card, Nokia Lumia 900, and a Keurig Elite Brewing System! Enter the Grand Prizes here! It’s that time of year when spreading cheer is important and I just found out about a charitable cause that is really great. WorldVision is a website that helps children and families worldwide. It’s great to donate money, it’s even better to donate money and get a little something unique back for your contribution. 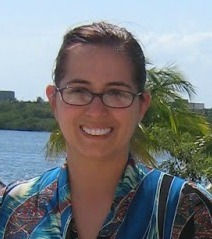 With a $60.00 donation you can receive the beautiful necklace I received that is handmade and absolutely exquisite! It’s one thing to donate money, but it’s another thing to donate to something and get to choose where it goes. 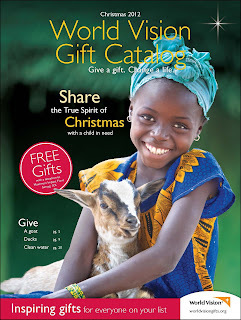 Want to buy a goat for a family you can. Help where it's needed most ... AND get a gift for yourself or someone you care about! 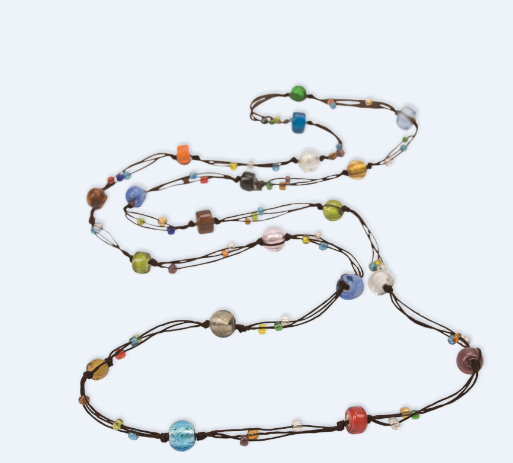 With your gift of $60 or more to our Maximum Impact Fund — which provides for the unique needs of children and families worldwide — you will receive this gorgeous glass-bead necklace. Handmade in Thailand, this colorful necklace can be worn several different ways — even as a multi-stranded bracelet. Wear it yourself or bless a loved one with this beautiful reminder of your generosity! Colors may vary. Approximate size is 44" around (22" long when worn as a single necklace). Want to buy a well for a village (it’s $13,700!) you can or you can donate $100.00 towards a well if you do not have that much to give. This isn’t just a charity it’s a great idea, the families that are provided with a goat can now provide themselves with milk, and cheese and yogurt that can help sustain the family for years. And if that goat is lucky enough to find a mate the offspring can be sold to another family. It’s an amazing idea; the idea is to donate to those who are less fortunate but to teach them about how to better their position. I know I take for granted my life….I go to my faucet turn it on and clean water comes out. I go to my fridge and it’s stoked with food. In the winter I have warmth, in the summer I have air conditioning. We’re lucky enough to go to Disney World a couple times a year on top of other vacations. We have it pretty good and I’m thankful for that and I’d like to be able to help a family who isn’t as lucky as mine and I couldn’t think of a better charity than World Vision. They do amazing work and if you can please make a donation and help a family who isn’t as lucky as yours or mine out. So when shopping for your holiday gifts this year make sure to check out World Vision, they have gifts for everyone on your holiday list this year. The Artisan Beaded Necklace is $60.00 and it available at World Vision and there are so many other great items as well. Disclosure: The reviews and or opinions on this blog are my own opinions . I received a necklace to review.No monitory compensation was received. I was not required to write a positive review. Your experience may differ. The opinions I have expressed are my own I am disclosing this in accordance with the Federal Trade Commissions 16 CFR Part 255: Guides Concerning the Use of Endorsement and Testimonials in Advertising . Please note that the Happy Holidays Giveaway Hop hosts and participating bloggers are not responsible for sponsors that do not fulfill their prize. We have represented each sponsor with the expectation that they will fulfill their prize in a timely manner. While we are not responsible, we will make every effort to assist the winner in obtaining their prize. No monitory compensation was received. I was not required to write a positive review. Your experience may differ. The opinions I have expressed are my own I am disclosing this in accordance with the Federal Trade Commissions 16 CFR Part 255: Guides Concerning the Use of Endorsement and Testimonials in Advertising . I like the Plush Goat. the plush goat is cute. The Plush Toy Pig is so cute!